Dubai will have an International Centre for Halal Products and will enjoy 10 per cent of the global market share in the next three years, Engr Hussain Nasser Lootah, a member of the Supreme Committee of Islamic Economy and director general of Dubai Municipality, said. “The centre will include an international laboratory and accreditation centre and will be active by the first quarter of 2014,” he said. While halal products are valued at $2.7 trillion (Dh9.9 trillion), the size of halal food is estimated at $685 billion, Lootah added. “The role of the centre is to check if submitted products meet the Islamic standard for accreditation,” he said. On its part, the Dubai Chamber of Commerce and Industry is working to attract the best Islamic economy companies from around the world, Abdul Rahman Saif Al Ghurair, committee member and chairman of Dubai Chamber, said. Moreover, the Chamber will organise the Global Islamic Economy Summit in November 25-26. It has assigned a special team to work on Islamic economy studies, he added. Dr. Hamad Al Shibani, committee member and director general of the Dubai Islamic Affairs and Charitable Activities Department, said the committee has set up a commission for Islamic standards, which will review the current state of halal products. This authority will commence its work by the first quarter of 2014. He said that the role of this commission is to maintain a comprehensive and unified regulatory framework and to insure a reference standard for Islamic products and coordinate with oversight bodies. Dubai aims to become the world centre for ‘halal’ products, according to the members of the newly set up Higher Committee for the development of the Islamic Economy Sector. An International Laboratory to test halal products and International Accreditation Centre for Halal Products will be set up in Dubai by the first quarter of 2014, according to Hussain Nasser Lootah, Director General of the Dubai Municipality and Member of the Higher Committee for the development of the Islamic Economy Sector. He pointed out that halal food market alone is worth some Dh685 billion, while the halal products market is estimated at a whopping Dh2.7 trillion. According to the strategic plan, Dubai aims to become the global authority for certification of halal products within a three-year time frame. 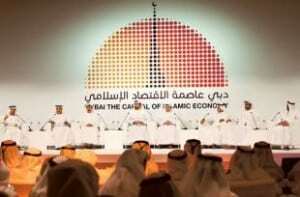 Halal products are easily available in Islamic countries, but the same is not true for millions of Muslims living in non-Islamic countries, pointed out Eisa Kazim Governor the Dubai International Financial Centre and spokesperson for the Higher Committee for the development of the Islamic Economy Sector. They also do not have full assurance on the claim of ‘halal’ on products not knowing how the certification was awarded, he said. The International Laboratory and the global Accreditation Centre in Dubai will have a standard global certification that will be trusted by Muslims anywhere in the world, Eisa Kazim told Emirates 24|7.